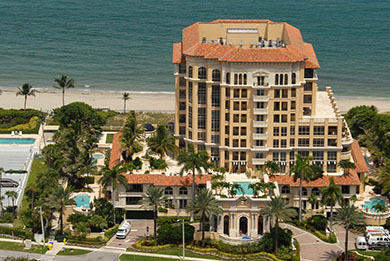 Excelsior has long been regarded as one of the finest luxury buildings anywhere in South Florida. Featuring 28 super luxury apartments with 40,00 plus square feet per unit, these are mansions in the sky. Excelsior offers beach-side cabanas with wet bars, lounges and showers. Bring your yacht as The Excelsior has dockage for yachts up to 60 feet. Excelsior is true luxury living right on the sand in beautiful Boca Raton, Florida.